All of us can appreciate a good home-cooked meal. And that’s why a Cervasi pasta dish — straight from your kitchen — can mean so much. We all seem busier than ever as we all scramble to and from home, work and other activities. This time of year, our thoughts are often drawn to the people in our life who would enjoy a home-cooked, heartfelt meal — and one that’s convenient and ready for them! The college student cramming for finals. A friend who recently lost a loved one. The new neighbors. Brand-new parents who are depending way too much on take-out. Cook the pasta to al dente, so when it is reheated, the noodles don’t turn to mush. If you decide to freeze your pasta dish so it can be enjoyed later, make sure it cools entirely to ensure the texture is not ruined. Chill it in the refrigerator before placing it in the freezer, and cover it with freezer-safe plastic wrap or aluminum foil. You can also freeze homemade pasta sauce in ice cube shapes to go with cooked pasta. The cubes will melt quickly and not get all over the microwave when heating! For best results, make sure the recipient takes the time to thaw the dish in the refrigerator before reheating it. Go for “bonus points” by complimenting the gifted dish with homemade bread, a bottle of wine and/or a yummy dessert. Go even further by putting the meal in a colorful dish and including a cute tag with reheating directions! 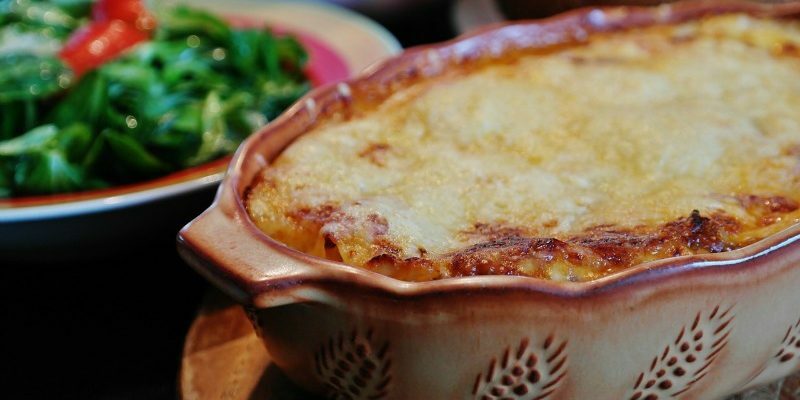 Cervasi’s traditional lasagna recipe is great to prepare and share. Our Cervasi Traditional Lasagna is a great dish you can make for someone special — and it’s okay to freeze for up to three months to be enjoyed later. For more helpful tips, ideas and recipes, be sure to follow us on Pinterest and on Facebook. Sources for this article: thekitchn.com and wikihow.com.